The New-York Historical Society Museum & Library* seeks “to explore the richly layered political, cultural and social history of New York City and State and the nation, and to serve as a national forum for the discussion of issues surrounding the making and meaning of history.” Although the focus is history, this museum also has a collection of 1.2 million works of art, many of which are world-class masterpieces. 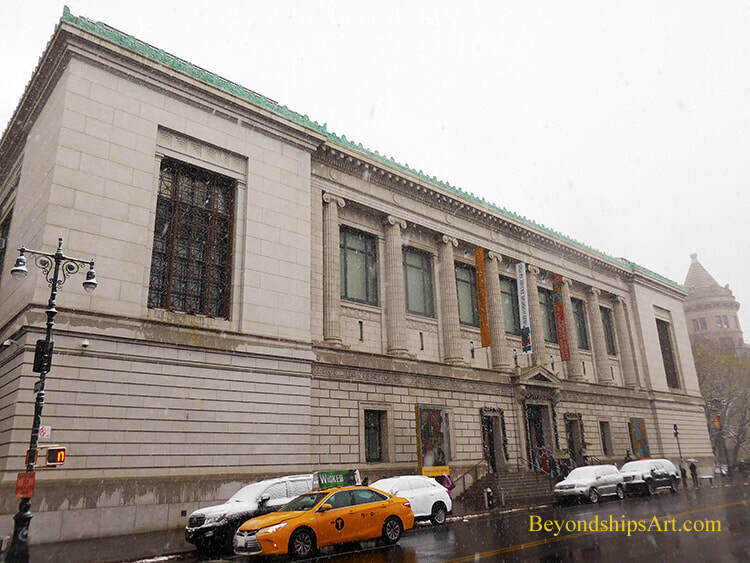 New York City's oldest museum, the New-York Historical Society Museum was founded in 1804. During the 19th century, it occupied several locations around Manhattan. It came to its present location on Central Park West in 1908. The building is a designated landmark. It was designed by the architectural firm York and Sawyer. In 1939, the building was expanded in what is believed to be one of the last examples of Beaux-Arts architecture in New York City. The building went through a controversial renovation in 2011 in order to increase public access. Even with these changes, the building is too small to exhibit all of its art collection, which is only part of the museum's vast holdings. As a result, most of the art is displayed on a rotating basis or in temporary exhibits. 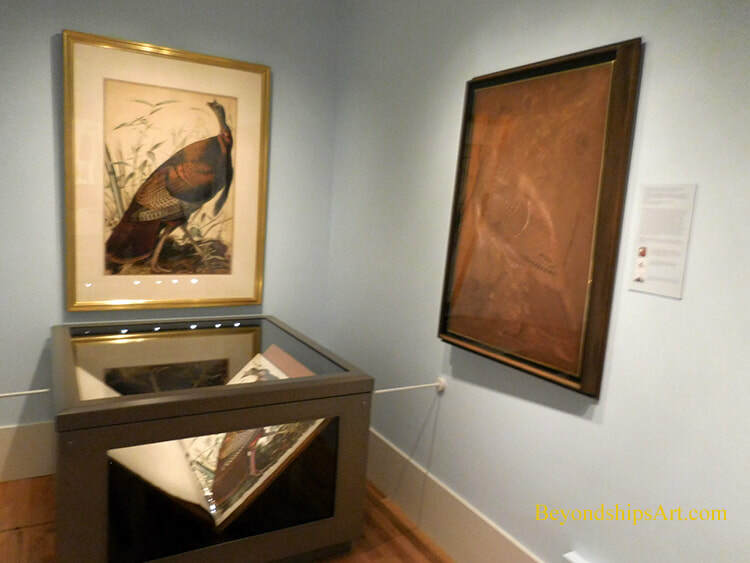 Highlights of the collection include: landscape works by the 19th century Hudson River School painters including works by Thomas Cole and Frederic Edwin Church; American portraits including paintings by Rembrandt Peale and Gilbert Stuart ; all 435 of John James Audubon's watercolors for Birds of America; and individual works by artists such as American Impressionist Childe Hassam. In addition, there is a large collection of American sculpture and of Tiffany lamps. As you might expect from a museum whose focus is on American history, most of the art is by American artists. However, one of the ways the museum's collection grew was by American's donating their private art collections. Consequently, you also find works by Picasso, Corot and other European artists on display. For more information on visiting, see the New-York Historical Society Museum and Library’s website. 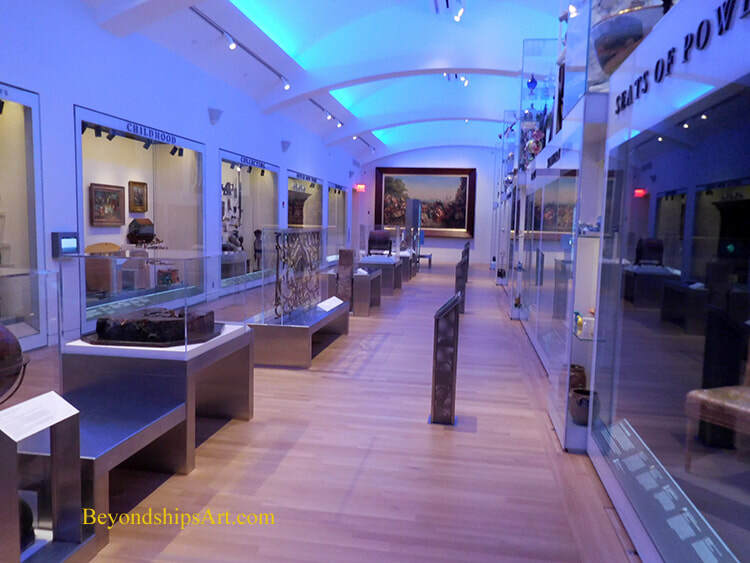 * The museum follows the 19th century practice of hyphenating the name New York.